The quaint town of Gilchrist Oregon has become a great vacation home and early retirement destination, as it lies in the heart of all central Oregon recreation. It is particularly attractive to sports people who enjoy snow sports, great hunting and fishing, and all of the other high mountain lake and river sports. Willamette Ski Pass is a short distance away and is one of the few places in the state that offers night skiing, but Gilchrist is probably more popular with snowmobilers, as you don’t have to drive anywhere in the winter to access over 600 miles of groomed and marked snowmobile trails! Other activities available for the outdoor enthusiast are hiking, riding, fishing, hunting, skiing, and dog sled racing. 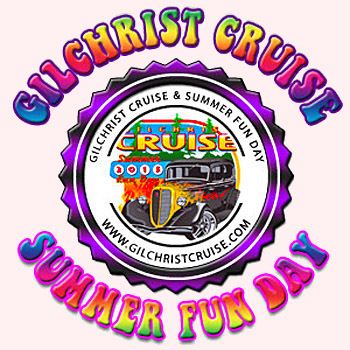 While at The local Gilchrist Cruise & Summer Fun Day Car Show, the Inn is within walking. Gilchrist offers a wide variety of recreation opportunities, from fishing in the high lakes, to hunting in the vast wilderness. If you like hiking, biking and getting out of the day to day grind come and enjoy. 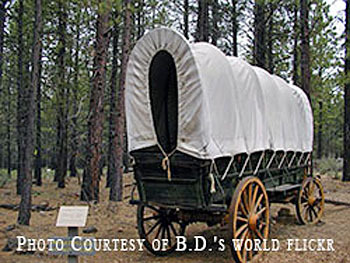 Ask about a hunting party, fishing expeditions, snowmobile trail maps, hiking, golf trips to Sun River and Quail Run. Donald M. Kerr, a native of Portland, Oregon, founded the High Desert Museum out of a passion for natural history that began when he raised a wolf cub for his high school biology class. This experience inspired his lifelong interest in environmental issues and the lives of predatory animals. Out of the belief that we can make well-informed decisions if we understand all sides of an issue, he envisioned a new kind of museum that would show the close connections between people and their environment. Kerr’s dream became a reality through the creation of the Western Natural History Institute in 1974, and its evolution into The Oregon High Desert Museum, which opened in Bend in 1982. To give it a greater regional role, the name became High Desert Museum. Today, the Museum remains true to his guiding principle that education and experience are the basis for thoughtful decisions and stewardship. Lava River Cave, properly called a lava tube, whose side walls show the marks of the basalt lava that continued to flow, while its outside was cooling and turning into hard rock. Entrance to the tube became possible after a portion of its ceiling collapsed. The beginnings of the flow extend back to the nearby Newberry shield volcano which produced a great variety of volcanic attractions, including cinder cones, pumice cones, lava and obsidian flows, Lava Cast Forest, caves, lakes, streams, and waterfalls. Many of the Newberry basalt flows are less than 10,000 years old and retain the fragile surficial features that are characteristic of freshly erupted lava. The youngest ones have little or no vegetation and a stark moonscape appearance which was used for astronaut training in 1966. 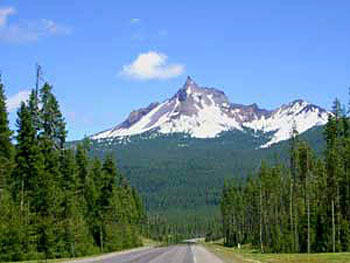 The whole area is now part of the Newberry National Volcanic Monument, managed by the USDA Forest Service. Access: From U.S. Highway 97 between La Pine and Bend. 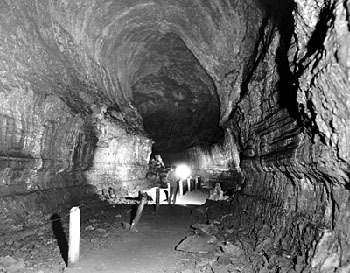 The one-mile Lava River Cave has an entrance station, and lanterns are available for rent. The cave temperature is a constant 42°, so wear warm clothing. For the protection of hibernating bats, this cave is closed from November 1 through April 15th. 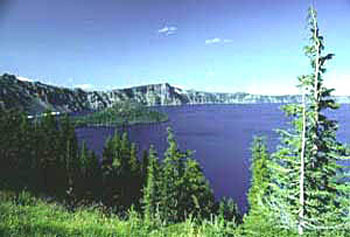 One of Oregon’s beautiful lakes situated high in the Oregon Cascades at nearly 5000 ft. If your looking for great fishing this pristine lake is home to the prized Kokanee, Bull Trout, Rainbow Trout, White Fish and Mackinaw (Lake Trout). Odell Lake is a favorite of many Northwest families who return here literally generation after generation to enjoy the many activities. Is another great lake for fishing. This very healthy lake is home to Kokanee, Brown Trout, Rainbow Trout and the ever popular Mackinaw (Lake Trout). The lake has sandy beaches at the North and South shores that ar e great picnic areas, or spend some time along the shore watching an occasional Eagle fishing. Crescent Lake is popular among the locals as well as visitors for Water Skiing, Fishing, Jet Ski’s, Paddle Boating, Canoeing, Hiking, Snowmobiling, Animal Watching and more. Offers skiers and riders of all abilities the chance to experience big mountain skiing with a small mountain atmosphere. Seven lifts including the state’s only high-speed six passenger lift will take you to 360 degrees of alpine adventure. With 29 fun and exciting downhill runs, a vertical drop of 1,563 feet, and six lifts, including the state’s only high speed six pack; Willamette Pass offers a wide variety of activities the whole family will enjoy. From downhill skiing and snowboarding to 20 km worth of Nordic trails, we cater to skiers and riders of all abilities and offer them the chance to experience big mountain terrain in a small mountain atmosphere. For a great winter outing and a great way to spend a beautiful winter day, come stay at the Gilchrist Inn and bring your snowmobiles. The Crescent Lake area is home to the best snowmobiling this side of the cascades. You can also visit the OSSA (Oregon State Snowmobile Association) web site for detailed snowmobile trail maps of our area. Abound in the Gilchrist/Crescent area. 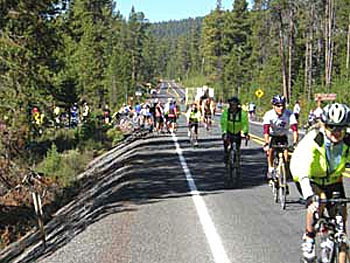 With miles and miles of trails including the Pacific Crest Trail await your arrival. Whether your biking or hiking bring your cameras as you will surely see a variety of wildlife in the beautiful pristine setting of nature. See Area Info Page For Town Information.